The "Headlock" Greatest Move Ever! Quote Reply Topic: The "Headlock" Greatest Move Ever! Perhaps the most exciting move in wrestling! Why is it loved by some - hated by others and should it be taught to all young wrestlers? If not, why not? I think it is cheating. lol! I agree it is a powerful and effective hold. Anything that can result in a fall is great. I think people take a negative look at it during youth wrestling. When a youngster learns to headlock sometimes they forget about fundamentals and are always looking to headlock. Shane Springer sometimes took the ridiculous criticism about his headlocks being junk move. Shane would say if you practice it , then it's not junk. Shane should probably make an instructional dvd because he can hit it from any position. 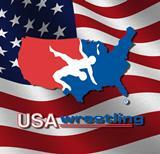 DSSR btw I like the idea about push out rule in scholastic wrestling, the best change I have heard in a while. I think it should be taught. I think it is a move that you can live and die by it, but I will say that it was shown to any new novice group that I have taught in the first 2 weeks. For a young novice wrestler it is a position they tend to get into very often. It is a move that can give that wrestler instant success if taught. I used it to keep their interest while teaching them a more fundemental high percentage way to wrestle. Then ween them off of it. With that said, there are some wrestlers (shane for example, mark smith before him) that were just good from this position. Even when people knew it was coming. It's like anything else.. if you are effecient at something even when your opponent knows its coming. It doesn't really matter if its a single, double, shrug or anything else. Many that have been pinned by the headlock wish it was cheating! Real sour grapes! I have watched Shane Springer since he was a freshman and he's a high quality wrestler that any and every team would want. His style reminds me of front head and arm Dave Schultz style. He can headlock you from almost any position, good wrestler know that and still fall victim to it.... it's unstoppable (so far 127 times unstoppable). By the way congratulations to Shane for breaking the pin record and good luck to you in college. Also it's great to see you and your brother at Norristown your senior year making unforgettable memories and Gold sounds good to me. Not all changes are good as we can see with the weight class changes but I think the push out rule would help the sport in many ways. Shane has no problem demonstrating his headlock, he has done so on many occasions over the years during our off season programs. However, just because Shane can do it doesn't mean most others will be able to do so. My son isn't a bad wrestler and Shane has worked with him on the headlock, but my kid and just about everyone else can't seem to hit it the way Shane does it. Shane has freakish skills. As my kid would say after another scramble gone wrong, "Springer has hips from God." lol.. He's hilarious.. Monday night I watched him "bait" his opponent by lowering his hips.. Just has the guy tried to cross over his hips.. BAM.. good night..lol It was actually comical.. When the kids were little we would toss them in with shane even if they were older because if you wanted to learn how to control your hips.. Shane was the kid to wrestle..lol Shane didn't want to score points.. He just wanted to PIN you..lol It didn't matter if it was out on the mat. On the gym floor.. over by the water fountain. These kids would still be wrestling up against the walls. It was crazy.. I like the headlock, but not as a primary move. The problem with Shane Springer's headlock, imo, is that he forces it too much. Now he's got like 130 pins, so he must be doing something right. And I saw him pin himself to the state finals as a sophomore. But I question the efficacy of his headlock at the next level. (read College). IMO, the headlock should be a part of a wrestler's bag of tricks - there when you need it or when the opportunity presents itself. But if you plan to wrestle Division 1 at the college level, it ain't happening if a headlock is your go-to move. Yes, you will still get a lot of pins, but the real studs just won't let it happen to them. Mark Smith was a legend among Upper Perk fans when he was headlocking everyone. He was returning Region champ as a Junior when he ran into an Upper Darby wrestler who knew how to counter a headlock. Seems to me that year, Smith didn't qualify for states. That stuck between two years as regional champ. Shane is a beast and he can force his will on a lot of people. I'd love to see him run through the state tournament like grease through a goose. But if he runs into someone who can stop his headlock, I hope he can fall back on other moves that work just as well. Upper Perk wrestlers (youth and middle school) are still throwing the headlock from every imaginable position. They're good at it... my son (8th grade) said the headlock is a crappy move and he would never use it. Two weeks ago he got caught by a scrub wrestler and pinned in :27 with it... he's starting to question how crappy a move it is. Anyone who watched the Lehigh-Penn State match last year witnessed one of the greatest headlocks of all time. I've never seen a better one. Andrew Alton went in for a duck under, and midway through the move he transitioned to a headlock. The Lehigh kid was flat before he knew what happened. And Quentin Wright still uses the headlock quite regularly. Didn't he deck the kid from Iowa with it? Think so, but my memory fails me. The headlock can work in college, but it can't stand alone. Our coach shows the left handed headlock. seldom used but can be quite effective in the right situation. That is what Quinten Wright used to pin the kid from IOWA. And let us not forget Rhone's Mixer in the NCAA finals.. Not a headlock but a similar "big move".. Some wrestlers are effective at these moves.. Especially in a flurry situation. In the Alton case. It just was a natural 2nd move off the duck. Speaking of Wright. I just watched his match against nebraska where he launched the guy in the first period with kind of a lateral drop. He does throw quite a bit at the D1 level.. I am definitely a fan of the headlock, and used it regularly, both left and right-handed. The reason some people think it's a "junk" move is because too many kids never learn to do it right because they never had to--they got youth level pins with crappy versions. I also think that it is only truly effective if you are good enough with other aspects of your wrestling to more or less "keep it in your back pocket" only to break it out when least expected. But when done properly, it can be a killer move. As far as not working at the highest levels, Caldwell used it for a takedown against Metcalf, and it is certainly still used at the Olympic level. Shane Smith pinned Wright with a headlock last year or 2 years ago. It's on youtube. Marky and Sheetz threw a lefty and Shane threw it righty. I'm right handed and naturally throw a lefty headlock. IMO, controlling the opponents upper arm with your dominant hand is more important than having your dominant hand go around the head. Is this a real forum? atrain--of top importance is hips, then the hand/opponents arm NOT around the head. The actual headlock around is really nothing more than a guide when done right. Well, until he's on his back anyway. I was at the Wilkes Open when Shane hit Wright. It would have been a "five" in freestyle. Quite beautiful. When I was a youth coach, I had a seven year old who had a killer headlock. He pinned everyone with it - both at six and seven years old. Coming off the mat after yet another 1st period headlock pin, I pulled him aside and told him I wanted him to start using other moves; that eventually he'd run into someone that could block his headlock and he needed to use different moves. My intent was for him to use the headlock less often. Instead, as far as I know he never used another headlock - and I coached him for 9 years and then watched most of his high school bouts. He won Eastern Nationals at 7 and placed 3rd in the state in high school - without ever using another headlock. Now there was a kid who listened to his coach. Cougar, when that Alton video came out, I must have watched it 50 times. The Lehigh wrestler tries to back out of the duck and leaves himself unbalanced and vulnerable to Alton's hips. Absolutely genius setup. As per using the headlock on the division one level, Mark Smith didn't light the NCAA world on fire exactly, but he was able to get 99 wins for ESU with little more than his high school headlock.